WEEE! 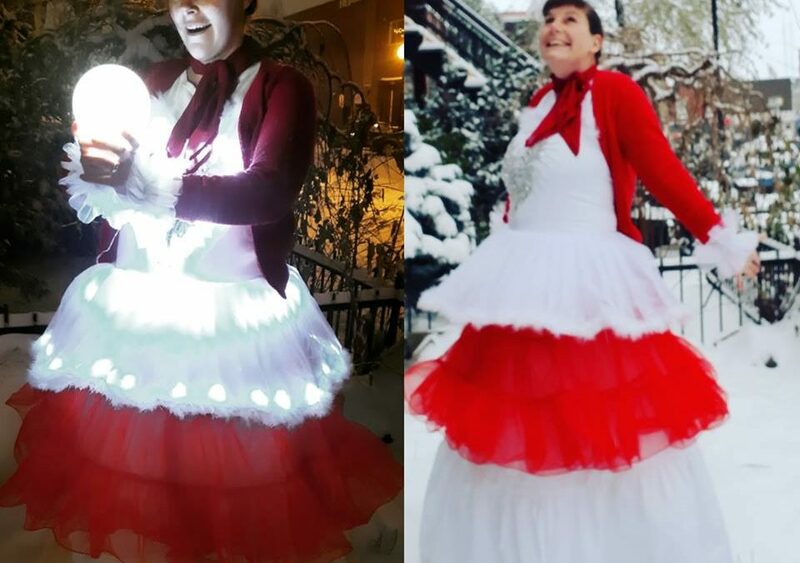 I received my new LED costume in the mail! 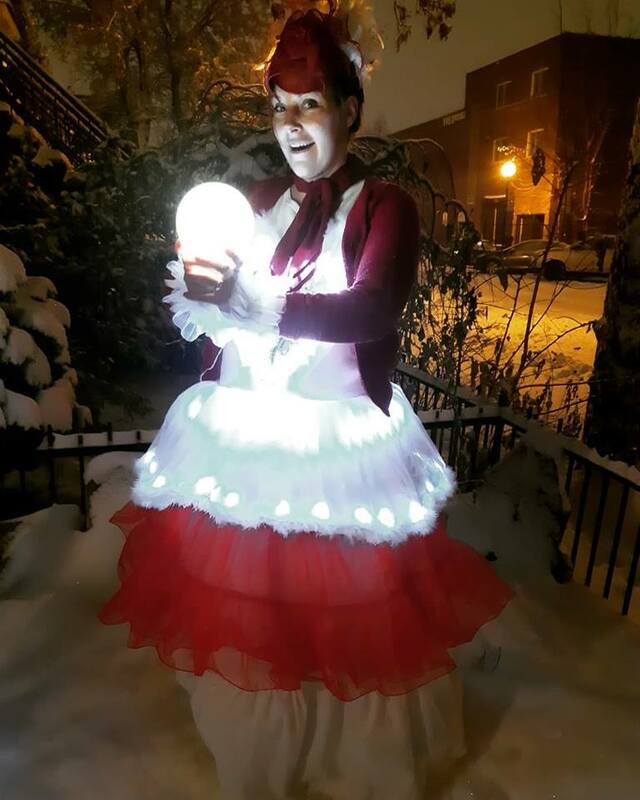 It’s a ballet tutu custom built for me, all dressed up for Christmas! Here’s a test photo to see the effect. It’s already snowing here in Montreal, and it just makes everything so pretty! This is so perfect for any Christmas event! I can’t wait to perform in it for you.